A Bristol favorite for classic international Tex-Mex cuisine. 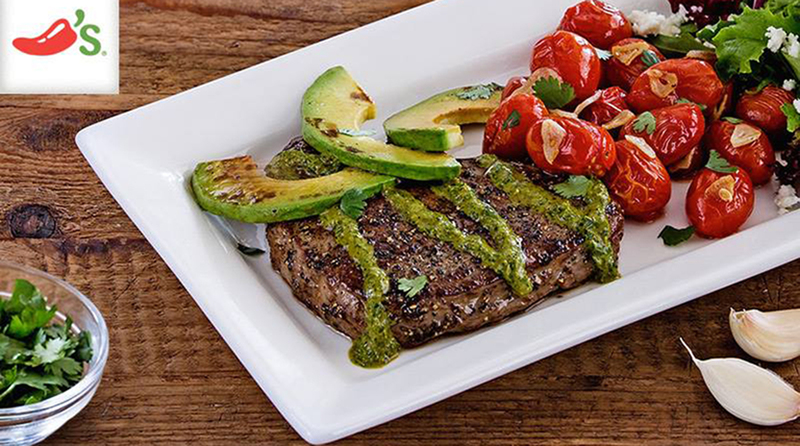 Over 1,600 locations around the world with your classic international Tex-Mex cuisine, Chili’s Grill & Bar is an American and Bristol favorite. Choose Mexican style cuisine from mouth watering fajitas and enchiladas, to fresh taco’s and quesadillas. Chili’s menu also includes made to order ribs, steaks, chicken seafood, salads, soups, and of course, chili. Looking for something healthier? No problem with their lighter choices menu. With a warm and welcoming wait staff, delicious food and refreshing drinks Chili’s will surely become a family favorite. Bring your friends and family to Chili’s Grill & Bar today!